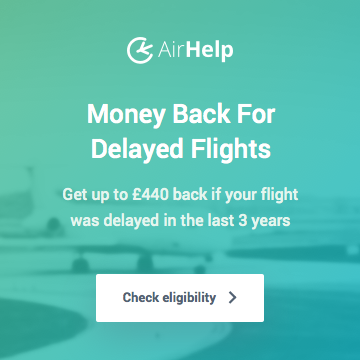 30,000 Avios Bonus To Help You Get Away Sooner? “Wouldn’t you like a card that can take you – and someone special – away sooner? 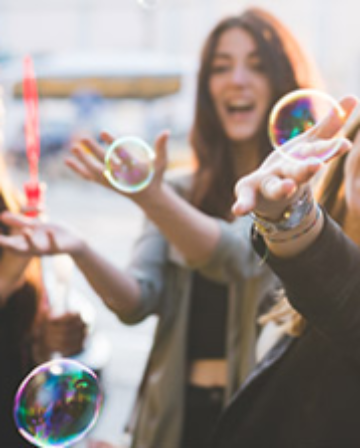 With the British Airways American Express® Premium Plus Card you’ll receive a 2-4-1 Companion Voucher when you spend £10,000 in a year. 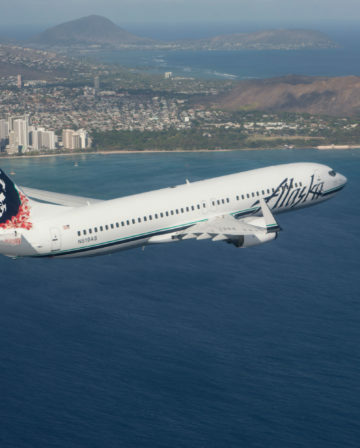 That means when you book your next reward flight, you can take a companion in the same cabin – and only pay taxes, fees and carrier charges. I’m usually very happy to apply for credit cards to get an Avios bonus (or other types of points/miles), but there’s a problem: I already have a BA Amex and therefore am not eligible – oh well. 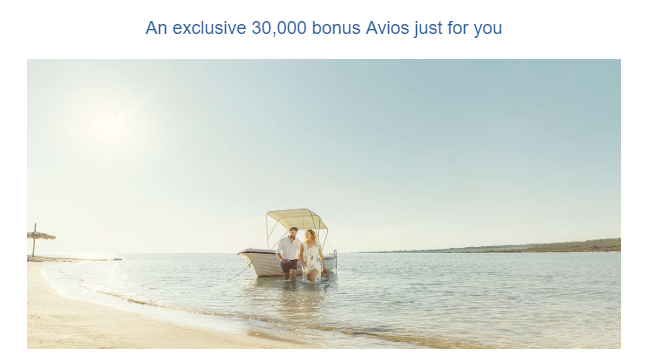 Although the offer was no use to me, it’s definitely worth checking your spam to see if you were targeted for too, as 30,000 bonus Avios is a very decent sign up offer. 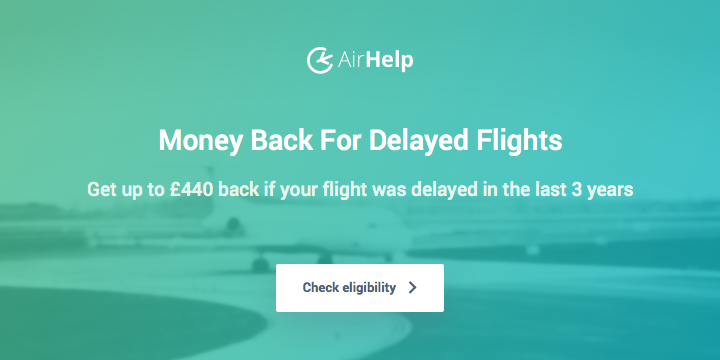 If you weren’t targeted, you can at least still get 26,000 Avios rather than the standard 25,000 sign up bonus, simply by applying via a referral link. This is my referral link here (I’ll receive some points too, so many thanks if you do use it, but please feel free to leave your own links in the comments). Do note that it has an annual fee of £195. 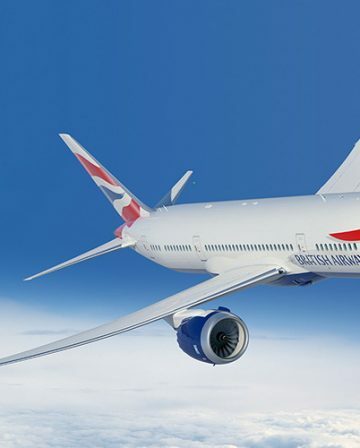 You can read much more about the benefits of the British Airways Amex Premium Plus and particularly about the 2-4-1 Companion Voucher here. 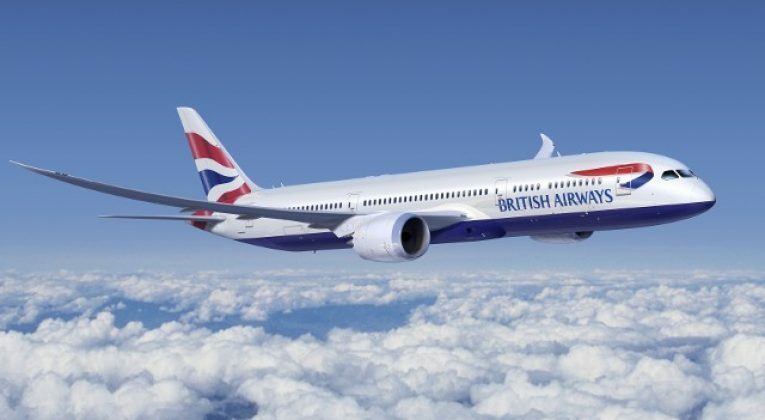 If you’d rather get a card that doesn’t have an annual fee, you can also get boosted sign up bonuses by using the following referral links for the standard British Airways Amex card (6,000 Avios) here, or the American Express Gold Card (22,000 Amex MR Points, which can be transferred to 22,000 Avios) here. Note that the Amex Gold is only free in the first year, so don’t forget to cancel it. 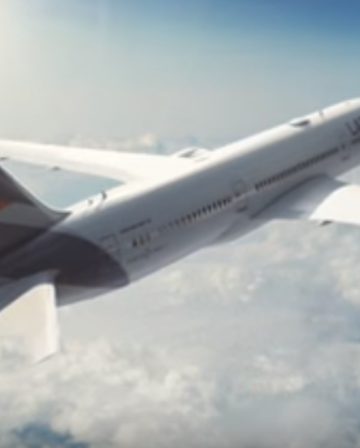 Were you targeted for the 30,000 Avios bonus? Thanks Joe for allowing us to post referral links. Please feel free to use my link and we both receive extra points! To apply for the BA Amex or one of the other cards, click the link and scroll down to “Not the right Card for you?” and click on Credit Cards. Happy travelling! I wish but unfortunately I didn’t receive it but probably because I already own a BAPP. If you would like to apply for the BA card or other Amex Cards I would be more than happy if you would use my link! Hope it will help you get sooner to your dream holiday! Unfortunately I didn’t receive this promo either. If you want to apply for the BA card or Amex cards generally I would be very thankful if you use my link. One interesting change at Amex is that the number of points you receive for a referral depends on the card you are referring from, not what card your friend is getting. For example, if you have a Nectar Amex card and refer from that, you get 5000 Nectar points, regardless of what card your friend gets. If you have a BA Premium American Express card, you get 9000 Avios for whatever card they get. So, if you have more than one Amex card, make sure you generate your referrals from your best-earning card. If you are new to this game and want in, please consider using my referral link, http://amex.co.uk/refer/colinjfvdx?XLINK=MYCP, as it’ll give you more sign-up points than if you just applied direct to Amex. And some to me too! Thanks.